What is a VIN Decoder? A VIN Decoder is a tool, to retrieve through the Vehicle Identification Number useful information of a vehicle. Linbis VIN lookup search in multiple database to obtain all the vehicle details. Information such as Vehicle Type, Make, Model, Year, Trim, Body and Engine Size is part of the report. The free vin decoder tool is available to any one looking to get basic information of a vehicle. To use the Free VIN Decoder, we will go into the commodity section. Then we will click on add a vehicle. We will input the VIN into its correspondent field and click on the button Decode. Each and every vehicle on the roads has a unique vehicle identification number (VIN). Among the car engineers and fanatics, it is known as the body number, and each vehicle has its own. This implies that under no circumstances will two vehicles share a VIN number. It could also be identified as the fingerprint of a vehicle. This is because it can be used to identify a vehicle just as easily, much like the human fingerprint. In comparison to the human being or citizens of a country, it is the identity card number, that cannot be the same with any other person in the world its importance is therefore similar to all the compared parameters. But what information does the Free VIN Check include? The first part, the WMI are three units. This is the identification code of the manufacturer and country where the vehicle assembly is done. To add on, each country has their own code of numbers and initials, for example vehicle with VINs beginning with “J” is made in Japan, while a vehicle with VIN number “1” starting is made in the USA. 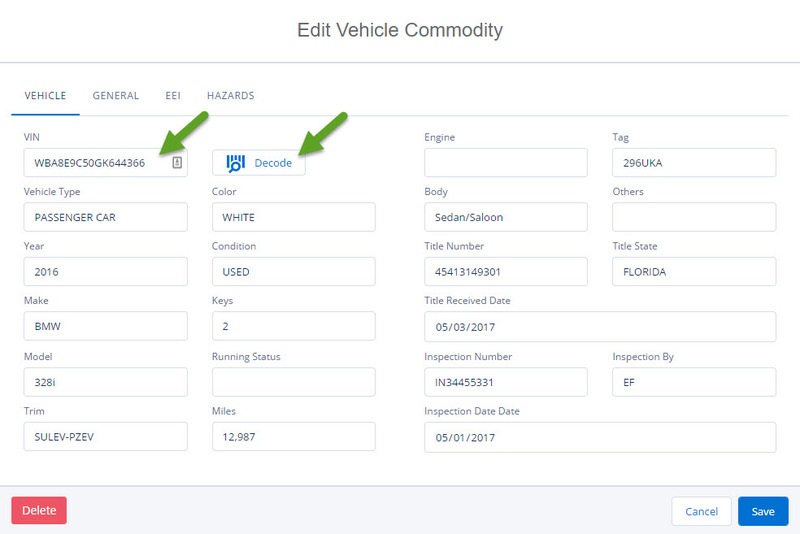 Secondly, the VIN number includes the vehicle type information, and here every manufacturer codes an information about the vehicle in their own way and includes 4-9 units. It is in this part that you can get information of the presence of airbags in the vehicle, types of seatbelts, body type, door numbers as well as the class of the vehicle be it an SUV or economy class type vehicle. Lastly, the other part is the VIN control digit. This is a unique algorithm that makes it possible to identify the exact vehicle. Furthermore, they include data regarding the engine type of the vehicle, drive type, accessories, model year and factory of assembly. That is the country of origin, which can be a foreign vehicle parts assembled in a given country. Where is the VIN number location on a vehicle? Well, there are several places where you can locate the VIN number of a vehicle, depending on the manufacturer. The registration book is the place you should start looking for the VIN in the “E” section of the registration book. It is a mandatory field to be filled in the registration of the book. This way the vehicle can be registered legally. The insurance book is also an alternative to find the VIN in some vehicle models. The VIN number provided in the book should be the same as the VIN on the plate found in the vehicle, or the nameplate of the vehicle. Secondly, the VIN number can be located in the lower part of the windscreen on the driver side. This is mostly common on contemporary vehicles. It is usually placed here so as to make it easily accessible to you so that you will not require the seller to assist you in finding it. And thirdly, some vehicles can have the VIN on different body elements. It can be found in the lower part of the pillar; this is located near the passenger seat. Some vehicles put it next to the front door hinges, such as Audi. Others on the firewall as is the case for BMWs and Volvos. It is only the VIN numbers between the years of 1954 and 1981 were different from the current ones. Since the manufacturers used different formats of VIN number codes. And even now the manufacturers may decide to put less characters in the VIN numbers. Thus it varying from car to car. Normally, the vehicles would have VIN numbers of 17 characters that is comprised of digits and capital letters. Why is VIN Check so Important? The VIN number is quite important as it displays the vehicles’ unique features, specifications and manufacturer. 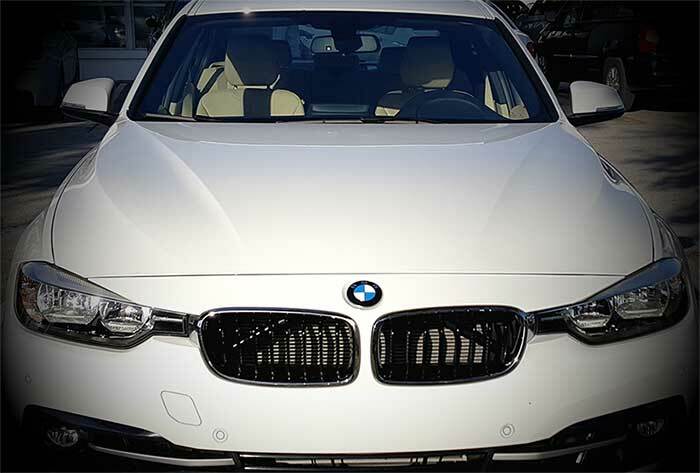 In addition, it can be used to track recalls, the vehicles’ registration, warranty claims, thefts and the vehicles’ insurance cover. The VIN check can also reveal to you the history of the vehicle. In addition, you get to have information on the fuel type your engine is meant to use. This will prevent exposing the engine to fuel types that can reduce its’ performance or damage it in one way or the other. The VIN Check is also important when you will be purchasing replacement parts for your vehicle. It is a requirement when you buying parts of the vehicle. This is because, these vehicle parts are often specific to certain VINs and may not be compatible with your vehicle if you stick to the year, make and model. All these are important aspects that cannot function or go through without the VIN check number of the vehicle. How long is a VIN number? How Many Digits in a VIN and Meaning? 4-8 – These digits identify the various features of the specific model. For instance, trim specifications, and driveline options. 9 – This ninth digit is determined by use of a complex mathematical formula that relates to the other numbers in the VIN. Is used for verification of the VIN for its authenticity. 10 – This digit represents the vehicles’ model year. However, it should be noted is not the year it was sold or delivered. 11 – Is an internal digit that shows where the car was built. Or as is commonly known as the vehicle assembly area. The characters are normally a mixture of both numbers and letters, but their arrangement is standard for the modern vehicles. Therefore, the above explanation of the character symbols and their meaning is true for all. Those are the major countries that manufacture vehicles and are widely used all over the world. Each of them has a given code that they use to identify them in the VIN number assigned to vehicles after manufacturing. And from the code we have, it is evident that we have a vehicle built in America. A cross referencing with the WMI it depicts to us that 1ZV is the code for Auto Alliance International company. This particular company is responsible for building vehicles for both Mazda and Ford. Therefore, our car can either be a Mazda or Ford. The manufacturer can be identified from the second element in the WMI code list. In some cases, it is the letter that begins the manufacturer’s name. For instance, B could stand for BMW though this might not be the case for all the other vehicle models. The letter is the engine version and additional information on the vehicle. All of which can be deduced from the code digits and characters. Every manufacturer wants their product to be unique and of good quality performance. Therefore each will also try to manufacture their engines. How to use Linbis Free VIN Decoder for Digit Check? Normally, companies would use the ninth digit, which is always a number and is used as a check digit. A mathematical complex equation is used to determine the product. They can determine if the product of multiplying all of the numbers and letters in the VIN besides the ninth digit, when divided by the digit 11, will have a remainder equal to the check digit, if it does, then the VIN is authentic. You must always double check your VIN number is the right one and ensure you copy it down correctly. Your verification should reveal the 17 characters of the VIN number. If it is less, then the vehicle is most likely from a pre 80s vehicle model. This is a crucial step that even the officers in charge are quite keen on when it comes to inspection. Free VIN Number Check and How does a it work? If you wish to access a fast personalized check, you can enter your VIN at Linbis VIN Decoder Tool. It is a free vin number check that can help you retrieve information on your vehicles’ history. All information and data will be available in just less than a few seconds. Using Linbis free vin number check it is quite accurate. This is an online tool and free to use provide by Linbis Logistics Software. All registered vehicles data are stored in an online database for referencing and state use in legal matters. This has reduced the amount of paper work that was there initially. In the first stages of automobile revolution, to machine era, where most documentation are performed online vin check is ideal. How do you assign a vehicle identification number? What if a vehicle does not have a VIN number? then the vehicle should be inspected first for all the assessment with owner. There are then documentation and requirements for the vehicle to be assigned a VIN number. These are referred to as State- assigned Vehicle Identification Number. They are issued to homemade or rebuilt vehicles which do not have the VIN number. Also or are found to have more than one VIN number. This will also involve a VIN inspection to be attached with the application form for a VIN assignment. The state department will first determine that the application for the VIN is the legal owner of the vehicle. Secondly the vehicle will require a VIN inspection to accompany the application. This will be done by an officer of the law. On the other hand, when a vehicle is manufactured, the manufacturer is the one responsible. By assigning the VIN to every production model in service, the 17 characters comprised of both letters and numbers. Of which each VIN number is assigned uniquely to each vehicle. There will be no mix up or assigning of a VIN number more than once.